1. I like to shop – plain and simple. Much like some people experience a ‘high’ while running I get my ‘high’ from shopping and saving money. It’s become a game and it’s me against the retail stores. 2. The money that I save goes into my Disney vacation fund – well, some of it. My family loves to look forward to our annual family vacation and the use of coupons has helped us have the extra money to do so. 3. Having kids isn’t getting any cheaper and I have two of them. According to a recently issued report (2017) the average cost to raise a child is now $233,610. The good news is that this is slightly lower than last year’s estimate but the bad news is the cost of college has gone up over that same period. Bottom line: I need to clip more coupons to keep up with this trend…. 4. My family likes to try new things (food, products, services) and the use of coupons makes this possible with, often times, limited financial risk. 5. Using coupons has allowed me to keep my weekly grocery bill in check. As with most American families my total monthly grocery bill is my second highest expense – only my mortgage is higher. If I can find ways to reduce this cost I’m going to do it. 6. The use of coupons has allowed me to become a much more educated consumer. Not only have I learned to get more with less but I also know where my money is going and have learned to avoid unplanned or impulse purchases – something I used to struggle with. 7. I have learned to look for savings in other areas of my life as well, not just at the grocery store. Getting my oil changed – look for a coupon. Buying a LEGO set for a birthday – look for a price match. My cell phone rates just went up – shop for another service provider. All these things can add up to some really big savings over time. You can learn more about techniques we use to save money (beyond just coupons) HERE. 8. To put it bluntly – paying full price for items such as diapers, toothpaste and cereal is just plain silly. So many items that you buy regularly, such as these, have coupons available at almost any given time. In fact it makes me cringe to think of all the money I could have saved on common household and baby items before I started using coupons. I could have easily saved a few hundred dollars per year on diapers alone! 9. I have used coupons to teach my kids about money. Really, I have. My kids were raised always watching me use coupons and talk about what they are and what they are used for. As they have gotten older (now ages 7 and 10) they now better understand the value of money and what ‘saving’ money is all about. 10. 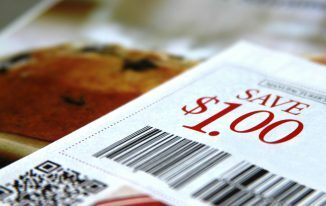 Coupon use has now become the norm and is so much easier to participate in. You no longer need to wait for the Sunday Newspaper to arrive to get your coupons. 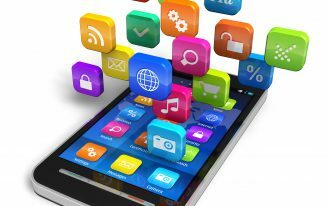 Hundreds of printable coupons are now available online and mobile technology now allows you to search for coupons while you shop. 11. Coupon allow me to pay-it-forward to others who may be in need. I know it’s a small gesture but I like to be a coupon fairy on occasion and leave coupons I do not need next to the product(s) they are valid for (especially those for baby products which I know so many families are in need of). This way someone else is able to take advantage of a coupon and benefit from the savings. 12. 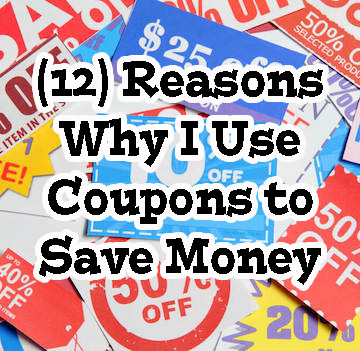 The last reason I choose to use coupons – it’s to my benefit. No matter what I do, or don’t do, with the savings it is still helping me. 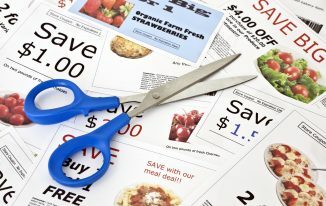 Companies spend millions of dollars on coupon campaigns for two major reasons: to attract new customers and to retain (reward) the customers they already have. They want happy consumers and I want to be happy. That’s it – the main reason I use coupons – they make me happy! $15 off Honest Baby Diapers with Amazon Digital Coupon – High Value!